Ross BarringerView from the Golden Gate Bridge. The 2015 National Geographic Photography Contest is currently under way, and there have certainly been some gorgeous submissions so far. The committee will be accepting entries until November 16. 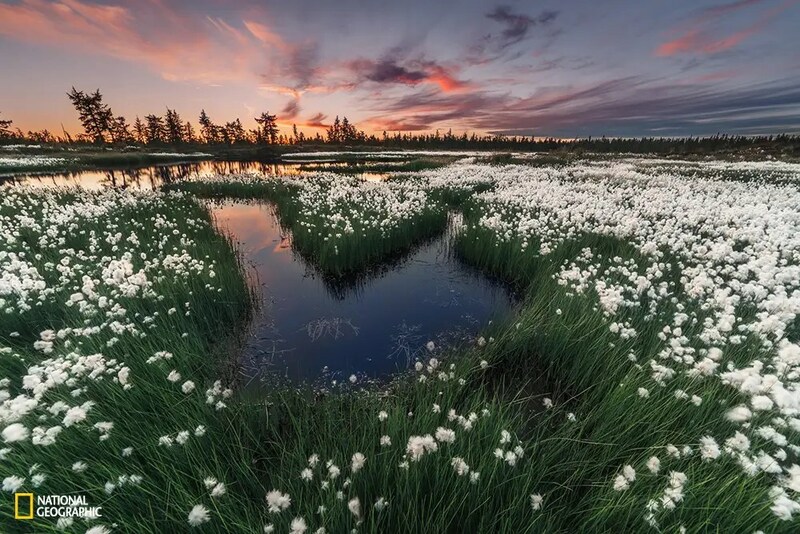 Photos are being judged in three different categories: people, places, and nature. The grand-prize-winning image will be published in the magazine. The photographer will receive $10,000 and a trip to the National Geographic headquarters in Washington, DC to participate in the annual National Geographic Photography Seminar. Below are some of our favorite submissions so far. Captions by the photographers themselves, edited by Jack Sommer. 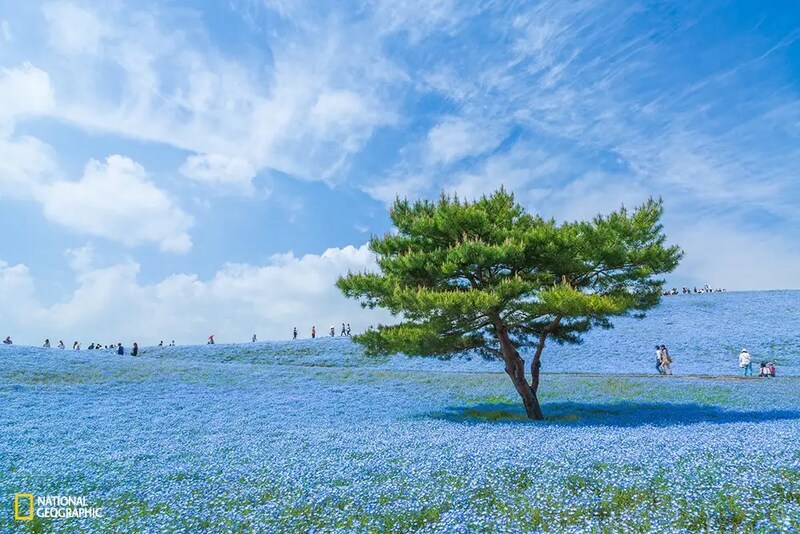 In Hitachi Seaside Park in Ibaraki Prefecture, Japan, you’ll find 4.5 million of these baby blue flowers. The best season to see them is usually from the end of April to the first week of May. Bangladeshis sleep on the roof of a moving train as they rush home to their respective villages to be with their families, in Dhaka, Bangladesh. 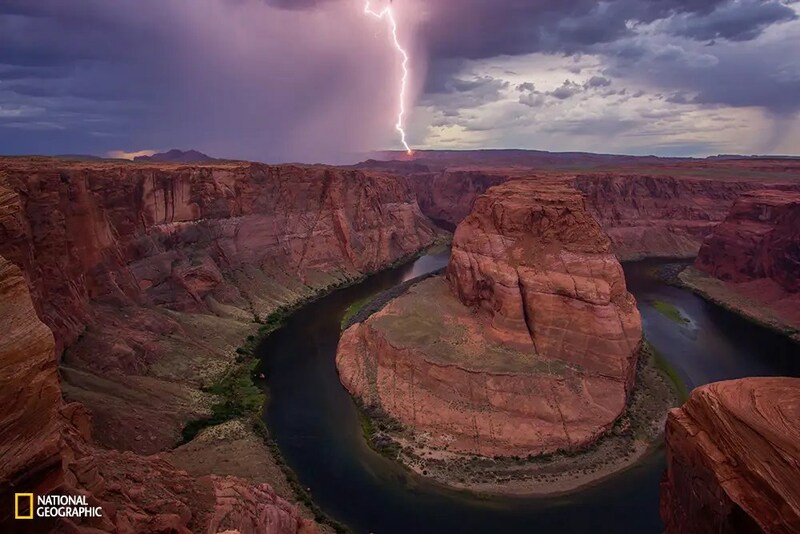 Here’s a view of a storm moving through the Horsehoe Bend, which neighbors the Grand Canyon by just a few miles. The sun sets on the forest in Novy Urengoy, a city in the Yamalo-Nenets Autonomous Okrug section of Russia. 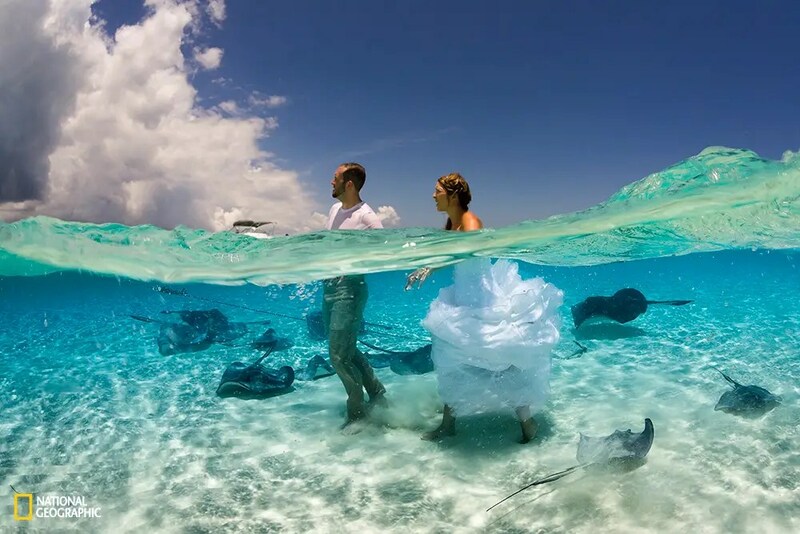 Stingray City in the Grand Cayman, where a newlywed couple embarks on their new adventure through the area’s crystal clear water. 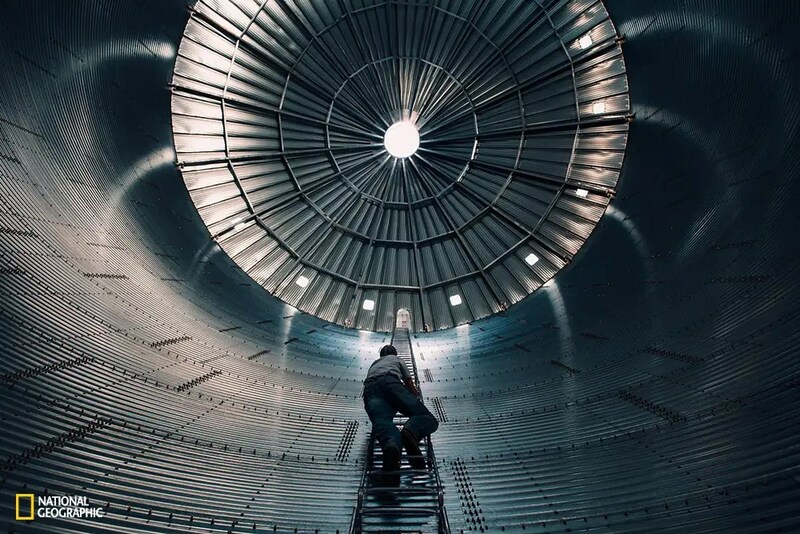 A man climbs to dizzying heights, up a large bin that is soon to be filled with grain in New Raymer, Colorado. 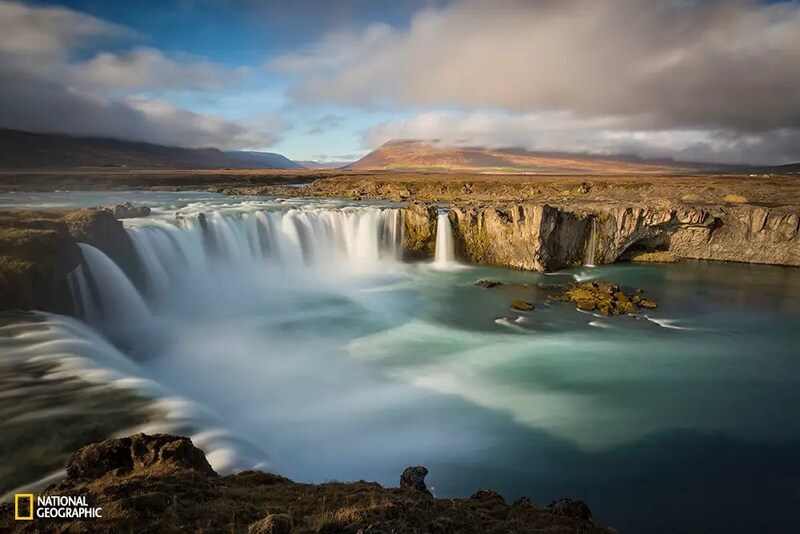 The Godafoss (otherwise known as the “Waterfall of the Gods”) is one of the biggest waterfalls in Iceland. 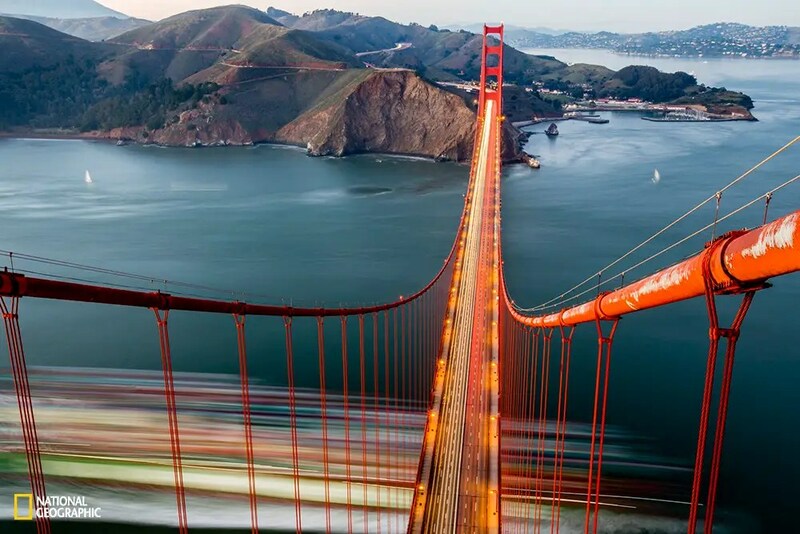 Those lucky enough to take a “tower tour” of the Golden Gate Bridge’s south tower can marvel at this view. 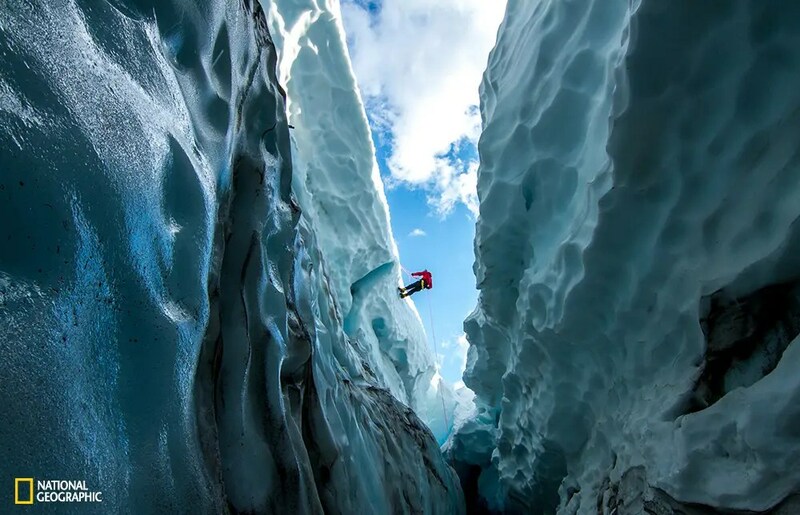 A climber descends into the Hayden Glacier, which is often used as a route to get to Middle Sister, the shortest of three volcanic peaks in the Oregon Cascades. 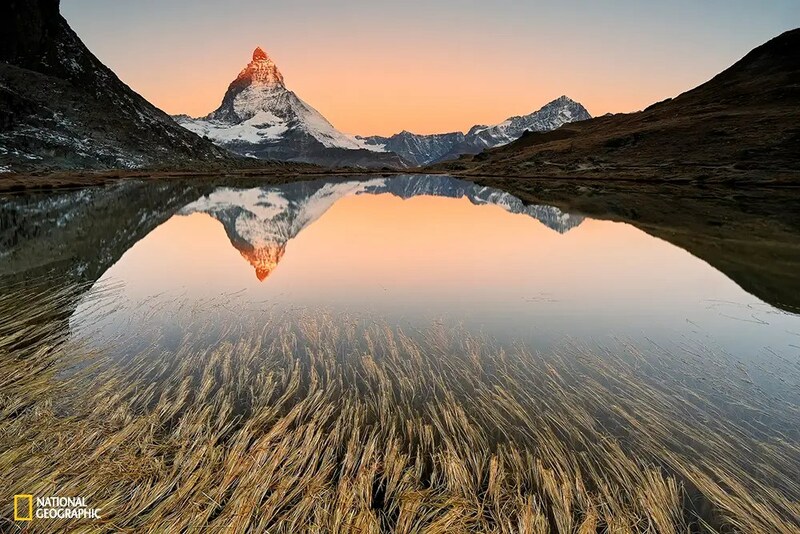 Matterhorn is one of the most famous mountains in the world and arguably Switzerland’s most recognized symbol.